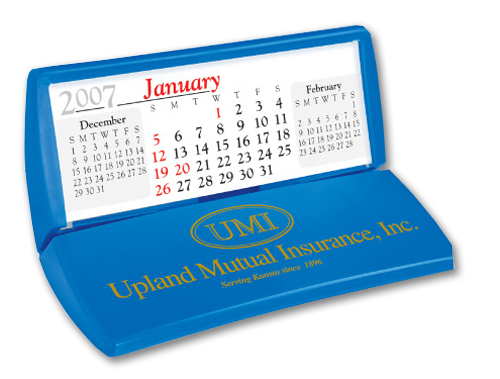 Large, snap lock, stand-up desk calendar. 3 Month-at-a-glance calendar pad on top. Imprint Area: 3-1/2" x 1-1/4" (w x h).